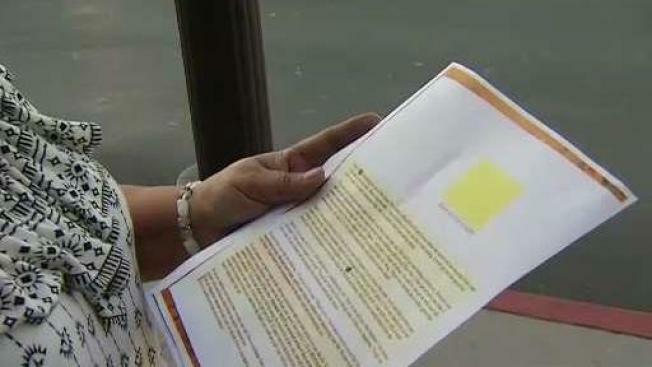 A blackmail letter is being sent to people in Santa Clara County threatening to unveil illicit activity connected to the recipient. And the scammers are demanding thousands of dollars in Bitcoin to keep quiet. Investigators with the Santa Clara County District Attorney's Office say the Bitcoin demand is likely because the cryptocurrency is virtually impossible to trace. The letters are landing in mailboxes across the county, but the DA warns they are a scam. "This is one of the most clever scams we've seen," said Suzana Gal, the DA's consumer mediation director. The letter starts by stating the person's name and that this person, Bluebread38, has stumbled upon the person's "secret activity." The accusation casts a wide net but implies infidelity. It threatens to tell a spouse and neighbors and friends unless the target pays thousands of dollars. "It's vague enough that anyone who has something illicit in their life, that their secret has been discovered," Gal said. The letters are postmarked from Nashville, but it's nearly impossible to track down who owns a cryptocurrency once its sent. "It's very very hard to trace," Gal said. Most people hadn't heard of the scam while others joked they're not worried if it arrives at their door. "For myself, I wouldn't worry too much, but I know there's a lot of people that do fall for these things," San Jose resident Cristina Robles said. Will tell us if our husbands or boyfriends are doing something Wrong. We don't need a letter." The DA says the scam appears to target affluent areas for now, and the price varies. The District Attorney’s Office recommends that you disregard these letters. If you have fallen victim to such a scam, please contact the U.S. Postal Inspector’s Service, 877-876- 2455, or your local police department.